This purpose of this document is to inform in what ways we store information, for what purpose and what intentions we have with doing so. We have prepared a all-you-need-to know quick guide regarding how we treat and handle your data. We constantly strive to improve the services we provide, and we do that by analyzing how you use our website and products. We do our best to be transparent in our communication on how we will use the collected information, and for what purpose and with whom the information is shared. You have a right to know what personal data we hold about you. You have a right to update incomplete, incorrect, unnecessary or outdated personal data, as well as request the deletion of any personal data. 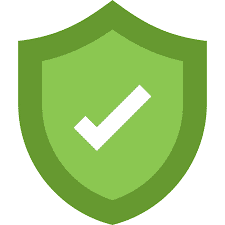 Mapiful AB (also referred to as “we”, “us” and “Mapiful”) in this document are deeply committed to protect and care for the data of our users and customers. We strive to comply with the highest standards in data protection and privacy. We also enforce all the applicable necessary laws and restrictions. This policy applies to all data that Mapiful processes during the provision of our services. How you interact with our services, and what content you see, and when. We use Pinterest for “Behaviour, and targeted marketing” as part of pursuing our legitimate interest to maintain and develop our businesses. Pinterest will on our behalf via a tracking pixel collect information regarding your usage of our services. You may at any time withdraw your consent (opt-out) and prevent data from your usage being stored by changing your preferences on your profile provided by Pinterest for this purpose. We use the services provided by TradeDoubler for “Affiliate marketing”. Anonymized data is being tracked when purchasing our services with the purpose of sales attribution. We use the services provided by Rev:Relations for “Affiliate marketing”. Anonymized data is being tracked when purchasing our services with the purpose of sales attribution. When you create an account, make a purchase, request information, or otherwise interact with us, we may ask for information to be able to fulfill your request. Mapiful processes personal data to perform our contractual obligations and to comply with legal obligations. Furthermore, we process personal data to pursue our legitimate interest to maintain and develop our businesses. The agent/representative for the use and handling of personal data is the “Legal person/entity” that is Mapiful AB, organization no. 559006-2393, Wallingatan 3B, 111 60 Stockholm, Sweden. Your and street address, and phone number. In specific cases usernames and passwords, feedback, age, gender, and language. Mapiful do never store or process information such as, but not limited to, credit card numbers or bank accounts. Any such information entered on our website or as a part of our services is only processed by the payment gateway. Providing products and services - We may use your personal data to provide you with our Services and to ship and deliver products you have requested or ordered, to process your requests or as otherwise may be necessary to perform the contract between you and us, to ensure the functionality and security of our services and correct delivery, to identify you as well as to prevent and investigate fraud and other misuses. Communication - We may use your personal data to communicate with you, for example to inform you that our Services have changed or to send you critical alerts and other such notices relating to our Services and Products and to contact you for any sales related purposes. Marketing - advertising and making recommendations: With your consent, with acceptance of our terms & policies, or when otherwise allowed, we may contact you to inform you of new Products, Services or promotions we may offer and to conduct market research. We may also use your personal data to personalise our offering and to provide you with more relevant Services and to display customized content and advertising in our Services. This may also include displaying third party content. Companies in Mapiful’s corporate structure. We may share your personal data with other Mapiful associated companies (affiliates or parent companies) or authorized third parties who process personal data on behalf of us, but only for the purposes described in this Policy and while the party are performing services for Mapiful. We may access, disclose and preserve your personal data, when we have a good faith belief that doing so is necessary to: (1) comply with applicable law or respond to valid legal process from competent authorities, including from law enforcement or other government agencies; (2) protect our customers, (e.g. from spam or fraud and/or preventing serious injury or loss of life); (3) operate and maintain the security of our Services, including to prevent or stop an attack on our computer systems or networks; or (4) protect the rights or property of Mapiful, including enforcing the terms governing the use of the Services, possibly in cooperation with law enforcement agencies. Mergers and Acquisitions If Mapiful is involved in a merger, acquisition or asset sale, we may transfer personal data to the third party involved. However, we will continue to ensure the confidentiality of all personal data. Printmotor provides Mapiful with fulfillment and production services. Upon such requests we will within in reasonable time and manner manner remove applicable information. You may at any time exercise the right and opt out using the tools and services provided by our partners including “unsubscribe links”. Contact our DPO (Data Protection Officer) if you have questions. Upon request individuals have the right to request all records of personal data we currently store in a commonly used and machine-readable format. Contact our DPO (Data Protection Officer) if you have questions.